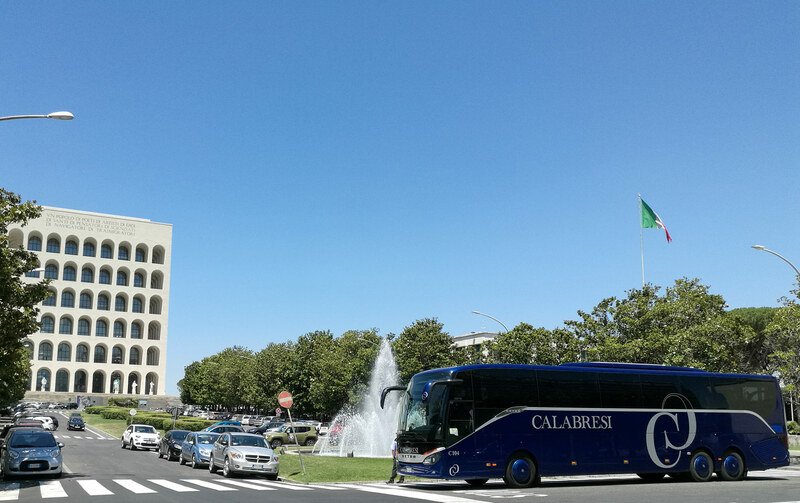 ﻿ ﻿ ..: Welcome on Calabresi Bus site :.. The greater company for the tourist bus rental in Rome. All the time the partner of the most important international tourism operators. Our customers are the witness of our commitment to guaranteeing quality and professionalism in services. 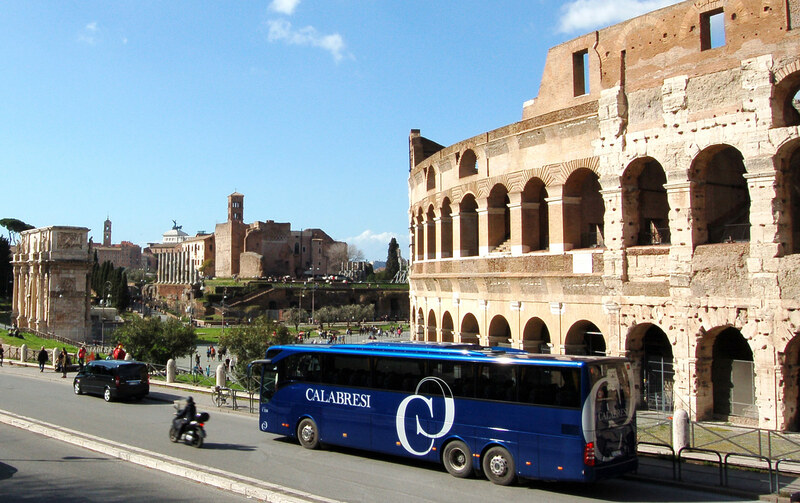 Our buses photographed during the tours and excursions we make in Italy and abroad. Discover the gallery. We have the means to meet the transport needs of the category of people with reduced mobility. The electric platforms installed on our buses allow easy access to the wheelchairs. Our buses meet the needs of the most demanding customers, they are all equipped with Wi-Fi and telephone recharging plugs. There are LCD monitors for on-board entertainment. CALABRESI Srl is a certified company QUALITY AUSTRIA ISO 9001:2008, ISO 14001:2004 and ISO 18001:2007. We have been certified since 2002 to guarantee high standard services to our customers.